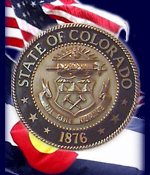 Unique among the fifty states in its public trustee/lender relationship, Colorado’s foreclosure statutes, as interpreted by the courts, have provided a reasonably quick and inexpensive process for the lienor to exercise its rights and remedies, while affording the owner of the property a fair opportunity to protect his interest in the property. For the Public Trustee to have the powers granted by statute, deeds of trust must grant such trustee an interest in the property encumbered by the Deed of Trust. Any deed of trust that names anyone other than a Public Trustee is deemed to be a mortgage for all purposes and a foreclosure on a mortgage would have to be handled judicially. The Public Trustee’s responsibility is to ensure that each interested party complies with the State statutes.